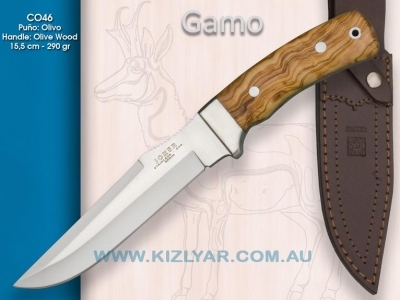 The Gamo (Fallow Deer) is the perfect knife, if you are looking for a great all-rounder, that can take on anything from light duties, to some serious cutting, chopping and digging. 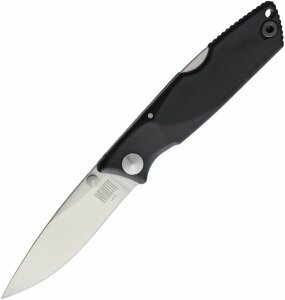 The 4.5mm thick blade is very durable and the contoured spine-base provides the user with great control and thrusting ability. The Olive wood handle is give a nice natural warm feel. This version of the Gamo has a longer cutting edge than the other.